I don't know about you but this excites me, I can only image how good this sounded in the room. 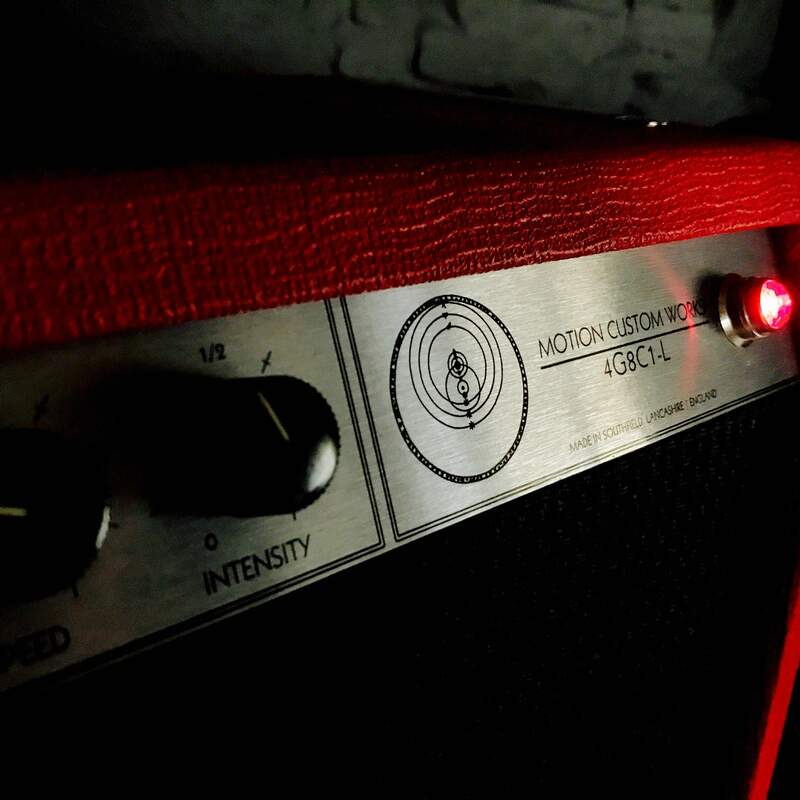 We have a new, and very welcome, addition to the Motion Custom family. 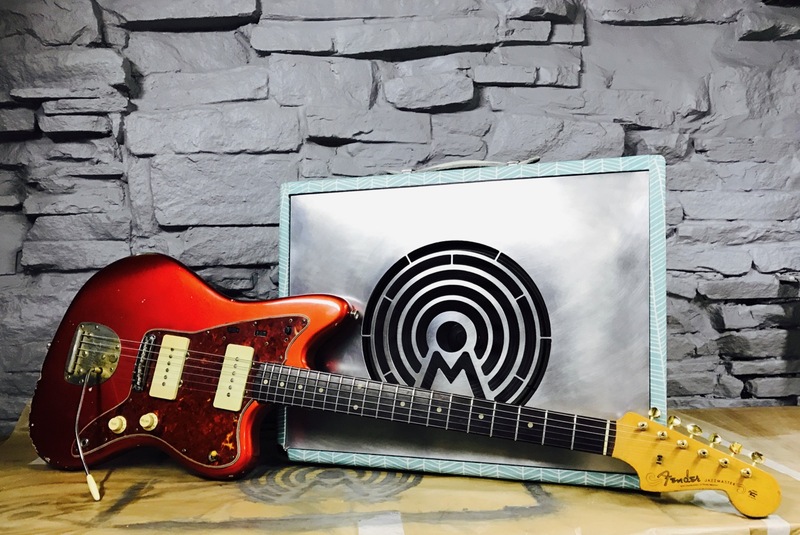 A 1963 Fender Jaguar finished in a fetching (and some would say, more fun) blonde over ash. It's a beautiful weight and incredibly vibrant, fairly big neck but quite typical for mid 1963. Like most vintage guitars in current circulation it has a couple of issues.....it has in the past been routed for humbuckers (uurrrrggghhhhhhhh......!!!!!!! WWWHHHHHHYYYYYYY....!!!!!) and less disturbingly it has been refretted.....perfectly understandable.....no?? The 21st fret clay marker has been replaced with pearl dot. If you haven't heard of Lanterns on The Lake then I have to question your sanity....and ask if you had been abducted or lived in an isolated cave, on a mountain, no wi-fi etc, etc.......for a good chunk of your life. Through this meeting I got the chance to talk to the incredibly gifted guitarist of the band, Paul Gregory.....one thing led to another, we talked guitars, noise, Star Wars, fuzz pedals......after some time I artfully shoe-horned the subject of amplifiers into the conversation. 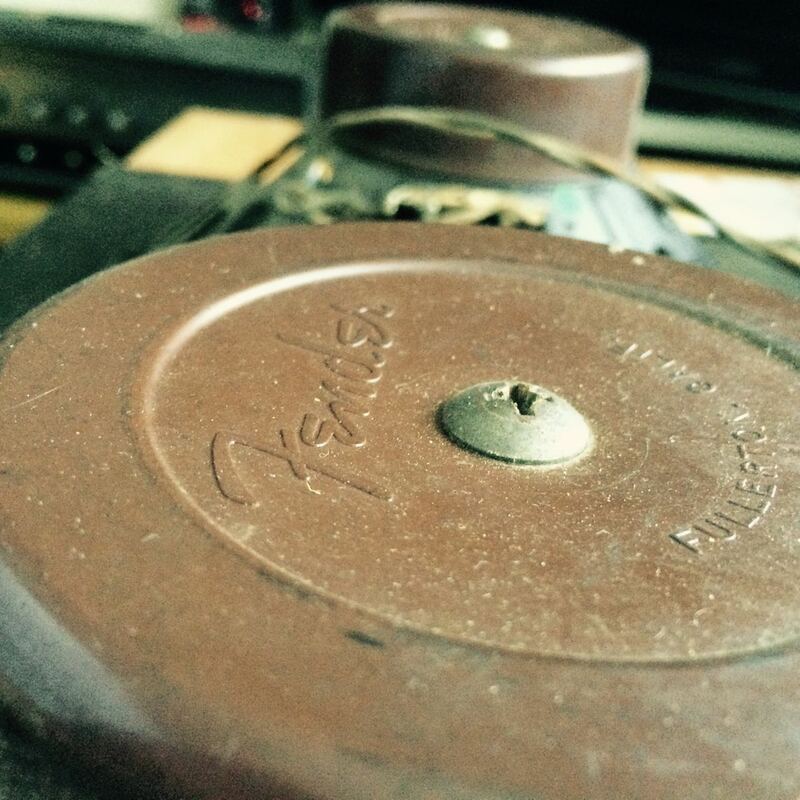 2 x 10 - Jensen P10R / Celestion Gold. Even by my own standards this has taken a very long time to produce. 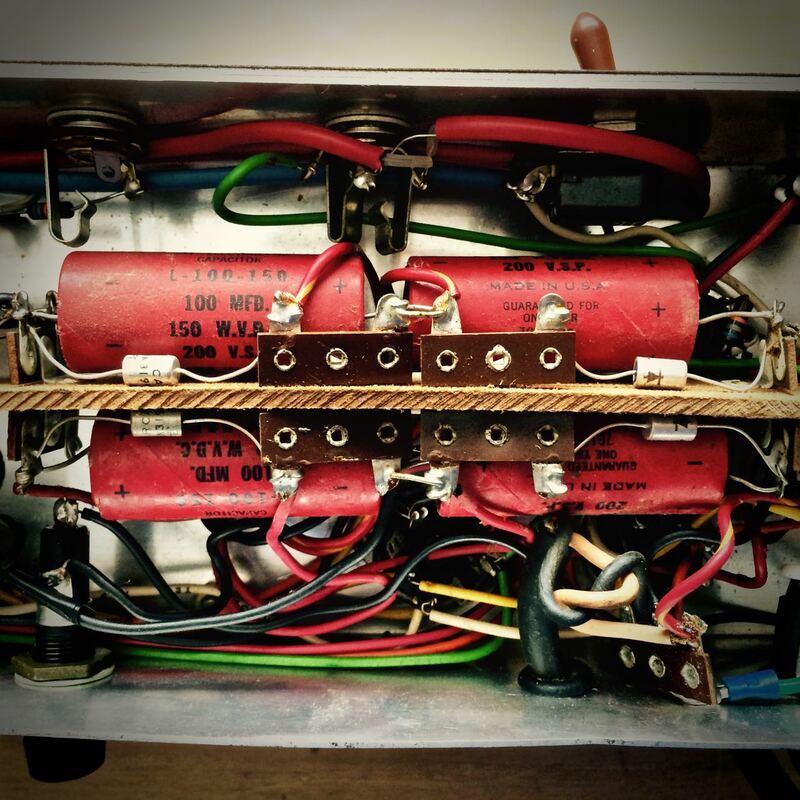 We had issues with the cabinet, the custom front plate, but more annoying was a mains transformer that was considerably larger than the engineering drawings suggested. 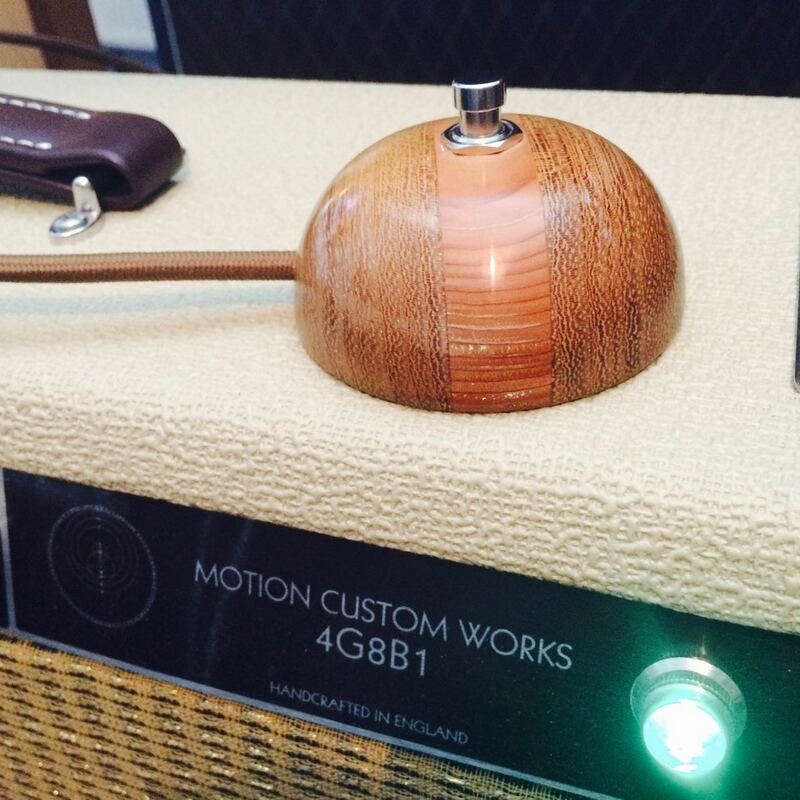 May I introduce the Motion Custom 2G8B1 - 12watts of raw percussive tone. 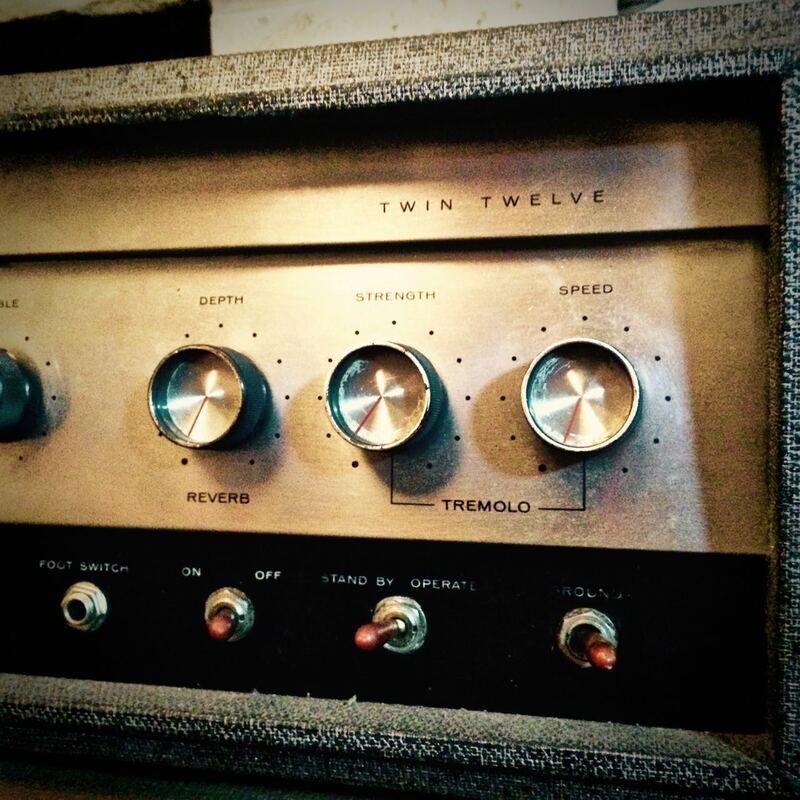 Single channel, Bias tremolo. A beautifully light and resonant yellow Pine cabinet, wrapped in Joel Dewberry fabric housing a 1964 Jensen P12Q for the perfect fat, woody tone. I will try and get some audio / video clips uploaded soon. I was contacted by Mark of Guitar Quarterly and 4:52am fame a few weeks ago, he had requested an interview and few lines / sound bites regarding the amps. Please stop by and check it out, It's well worth a read, and not just for my scrambled ramblings. September was a good month for bargains. 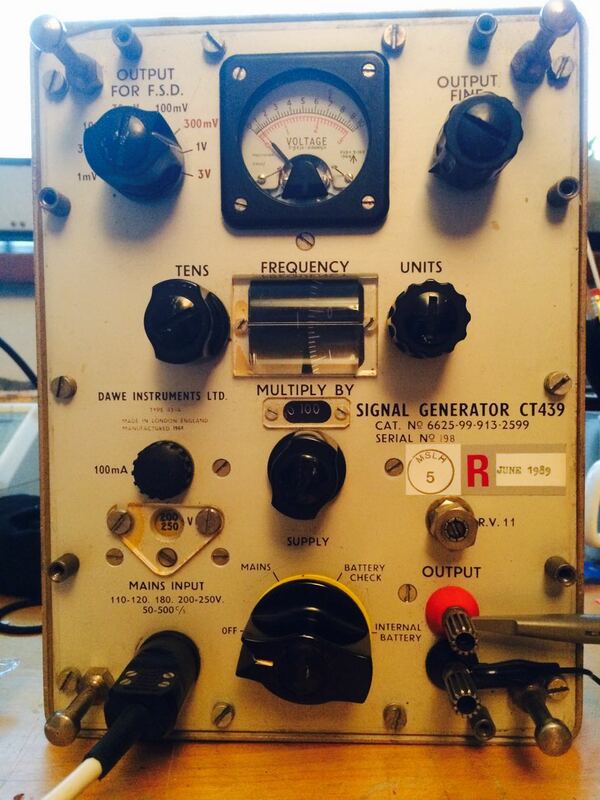 I'd been struggling with horribly a horribly inaccurate signal generator for a while, it served a purpose but I couldn't say it could be relied upon. 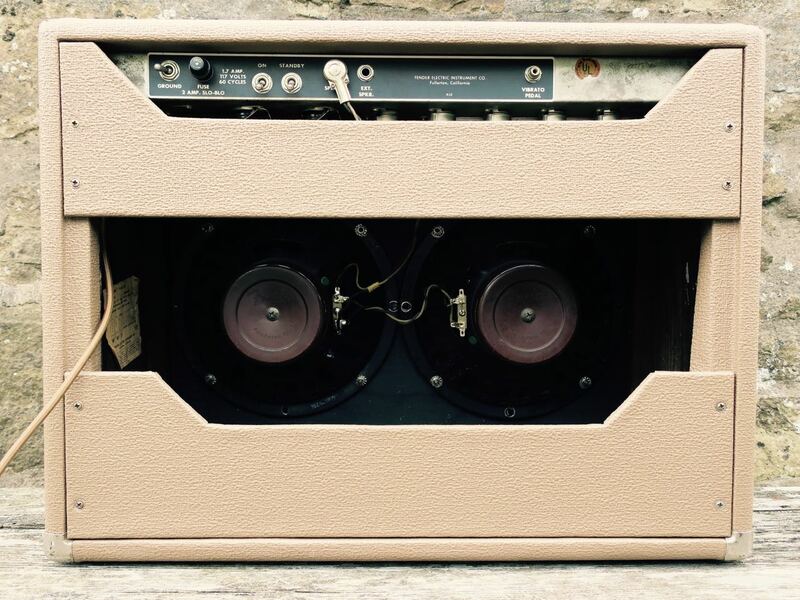 When this ex-MOD Dawe Instruments CT-439 appeared on eBay I couldn't believe my eyes. These things were built to last, beautifully engineered and, despite not being calibrated since 1989, it is very accurate. 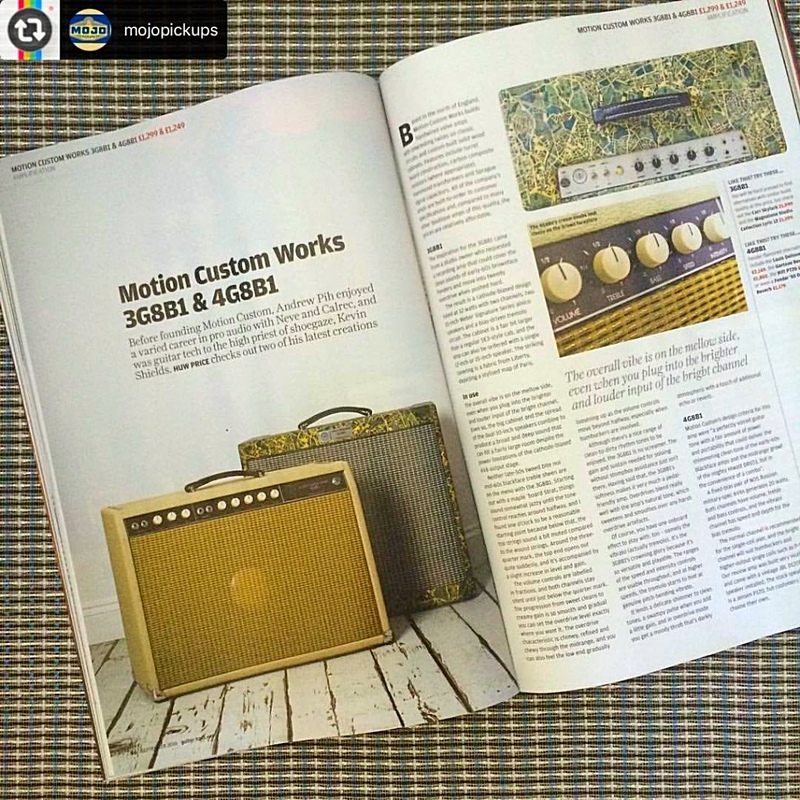 The beautiful people at Guitar & Bass magazine had some very nice words to say about my 3G8B1 & 4G8B1 amps, featured in the August '16 edition and available to read online here. Many thanks to Joss at Distant City Studios for the kind loan of the 3G8B1 and Mojo Pickups for the photo (stolen from instagram). I took a trip over the hills to visit Marc at Mojo Pickups, I couldn't resist recording him playing a bit of slide through the 3G8C1 on his beautiful Coodercaster replica, fitted with Mojo Pickups 'Supro' style Lapsteel bridge pickup and Gold Foil pickup in the neck position. 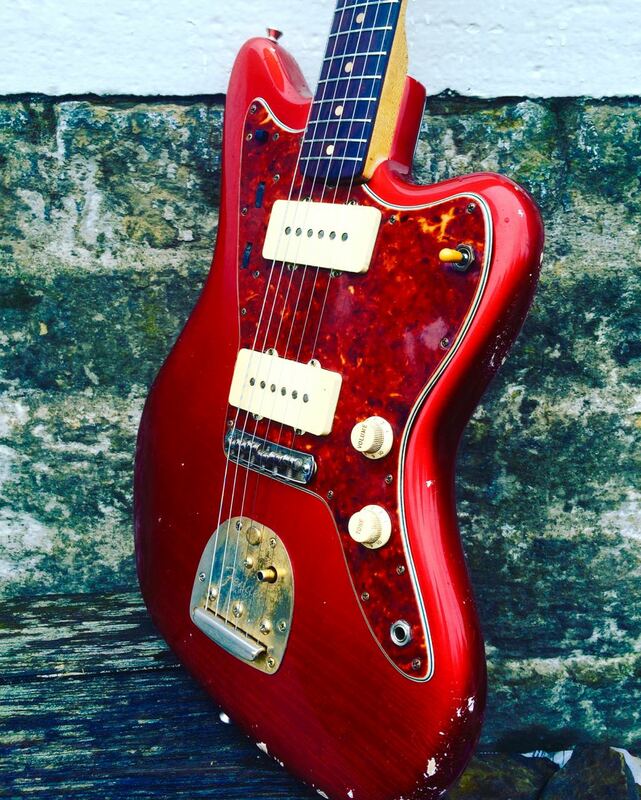 This has been my main Jazzmaster for many, many years. 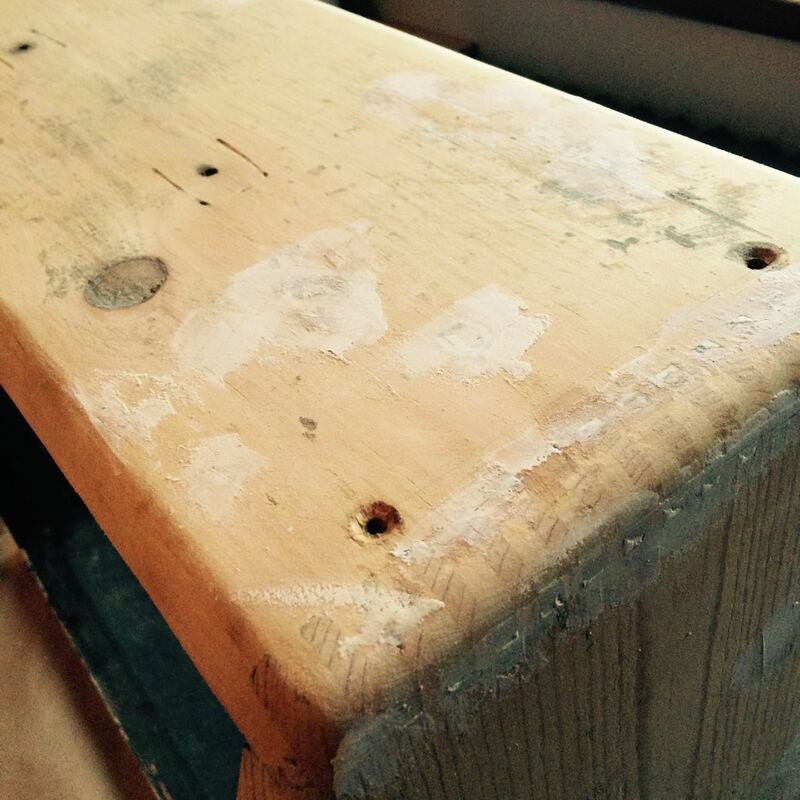 It was an awful Olympic-ish White when I received it, someone had attempted to 'age' the finish which resulted in it looking more Birds Custard than cool, well loved and worn in Olympic White. I decided it needed and deserved a refinish, I love Candy Apple Red especially when it catches the sunlight. Stephen Naylor of Relicasters really outdid himself with this one. There are a few things in life worthy of the universal adoration the world puts upon them, super glue, baked cheesecake, rainy Sunday afternoon matinees and the JBL D120f. 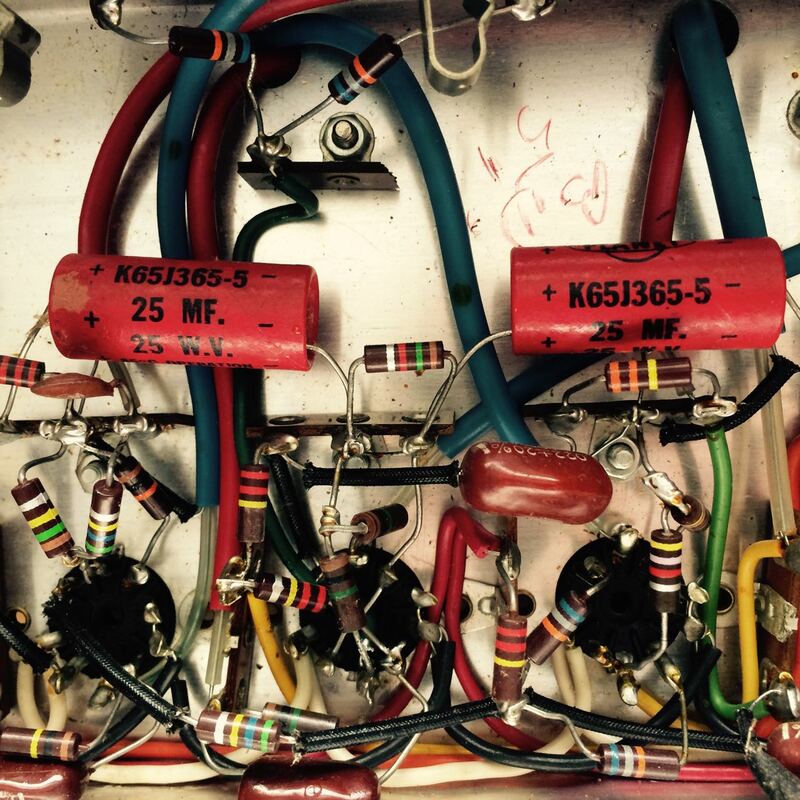 I received a pair (one grey & one orange) in an early 70's Fender Twin a couple of months ago, my plan was to do a quick mod to relieve the bloated, bass heavy tone that plagues a lot of 70's Fender amps by replacing a few choice components and convert the amp to the classic Blackface AB763 circuit. Enthusiasm got the better of me and I neglected to test the JBL's before I performed surgery, the orange frame JBL was not in the best of health......my heart sank, I shed a tear and I locked myself in the bathroom for the best part of 8 minutes as there was, at moderate levels, the distinctive buzz of coil rub. 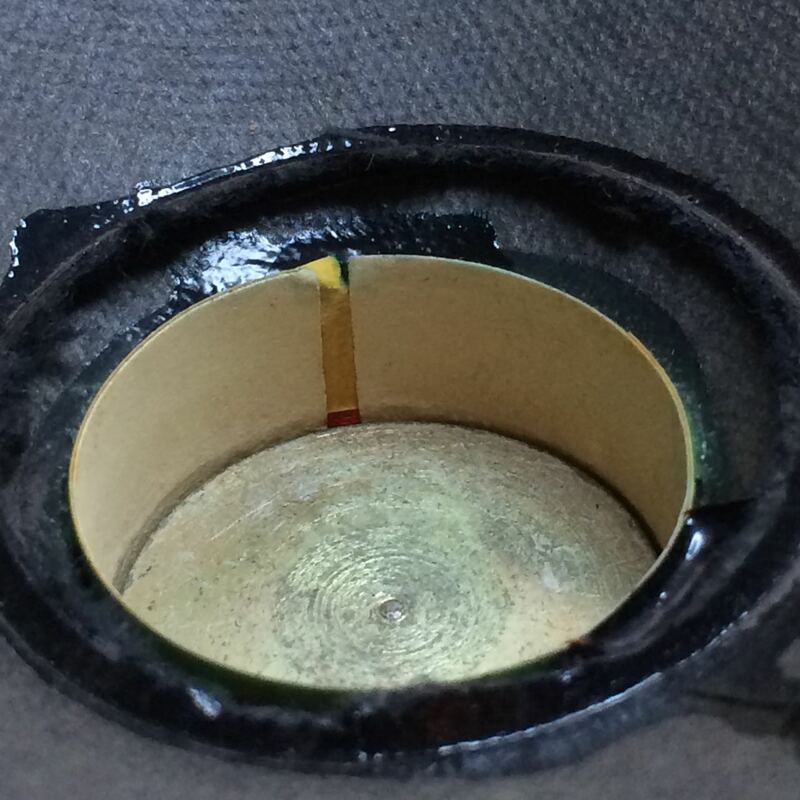 I tried to convince myself that if I played for long and loud enough the speaker would 'right' itself, I know.....there's no reason it would do that, no logic at all....I tried though.....!! So, I resigned myself to the realisation that I would have to recone. Here in the UK kits are hard to come by and expensive, so I picked up something suitable from the very nice people at Simply Speakers in the US. 4G8B1 'Purple Jeff' has been a long time building, a little too long to be fair but I had to be happy with the results, I hope the new owner, Joss Worthington is a happy bunny too. 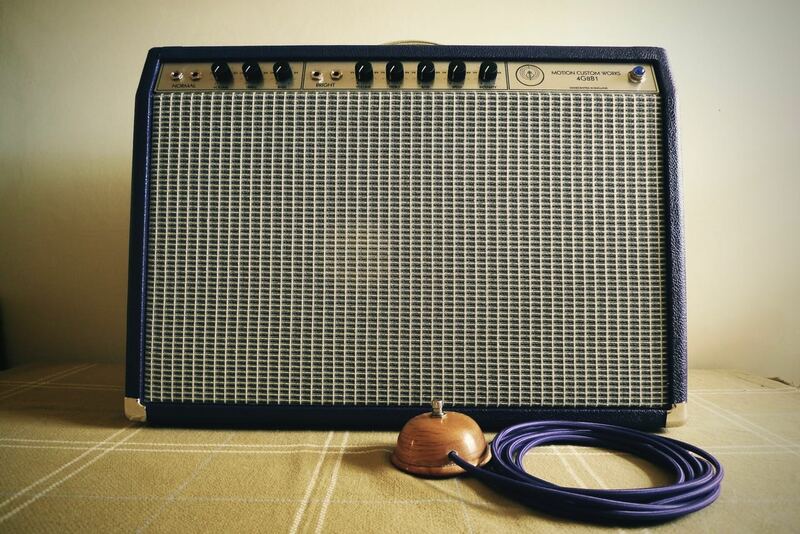 Finished in Plum tolex and aged silver / blue grill cloth, 18W, class AB, point to point with bias modulation vibrato, fitted with a JBL D120F, 2 x mil-spec 6V6GT's and a beautifully hand turned footswitch courtesy of master woodworker, Paul Simpson. On the bench today was a Silvertone 1484 belonging to Marc at Mojo Pickups - An often overlooked future classic despite having the worst reverb ever fitted to an all valve, point 2 point amp. Filter caps and a couple of the decoupling capacitors were changed along with a few resistors to tame the violent oscillations in the power amp section. Introducing these very special handcrafted footswitches, perfect for reverb / vibrato applications. 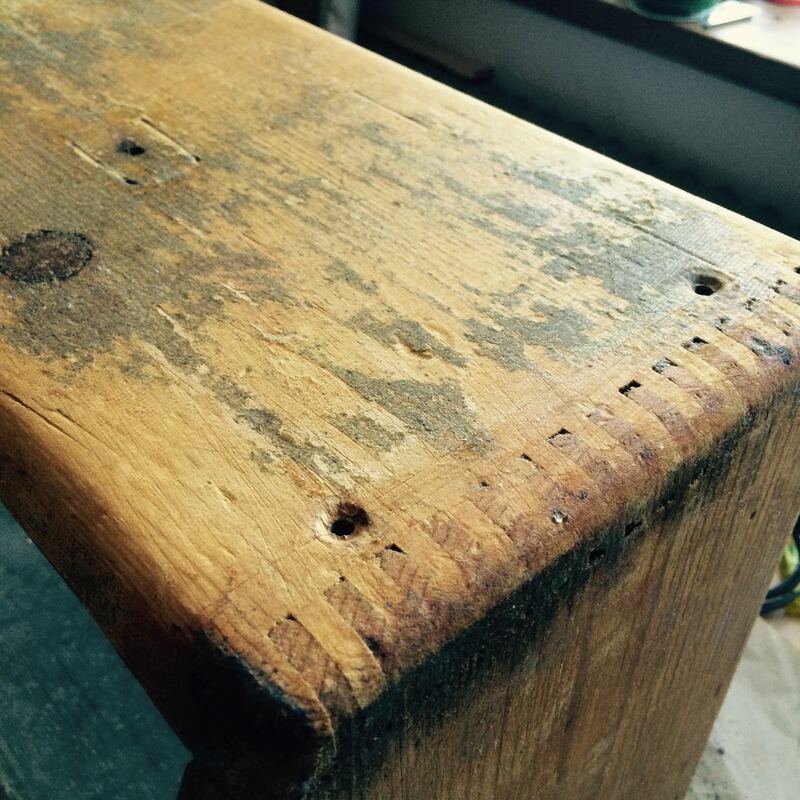 Beautifully turned by Paul Simpson, 75 year old master woodworker and personal hero of mine. As well as options in Oak, Beech, Walnut, Cherry and occasionally African Black Wood (recycled), I am especially excited about the range silk braid covered cable I have sourced in the perfect range of colours to suit my custom collection. 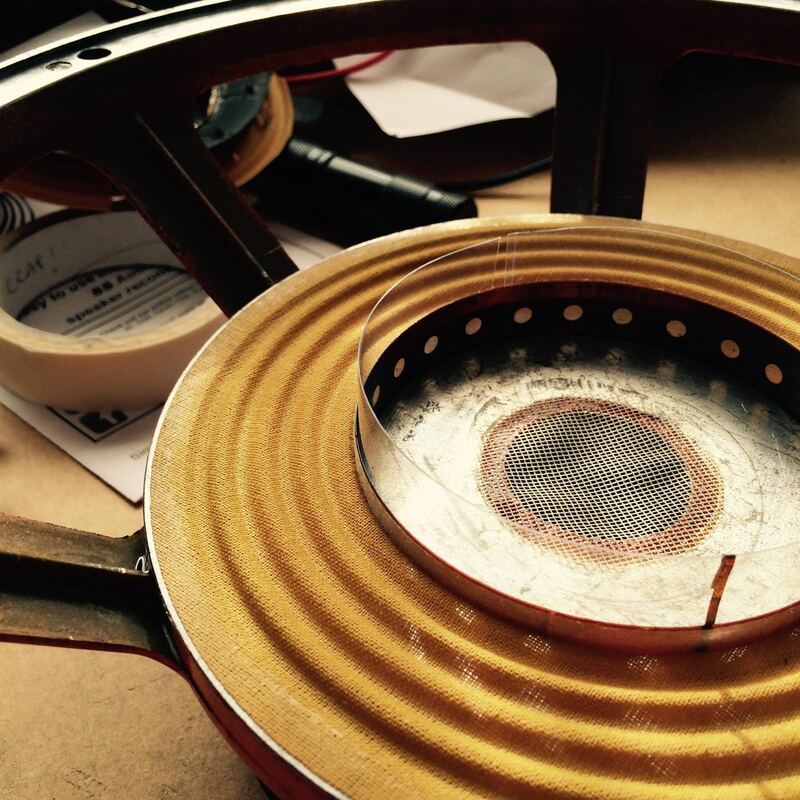 Paul is currently working on a 2 button version. 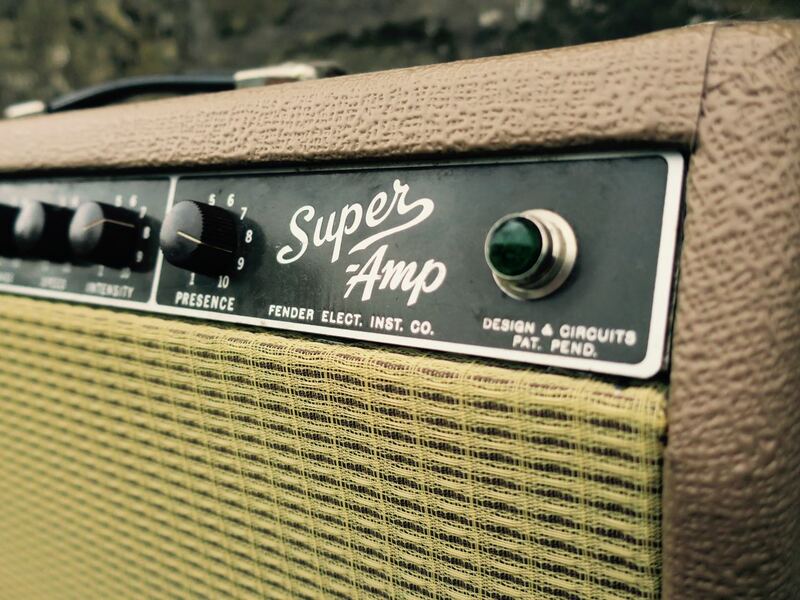 I picked up this 1963 Fender Super amp in need of some TLC, it had been horribly recovered in black leatherette and the grill cloth looked like a pair of 1970's caravan curtains...........nice. 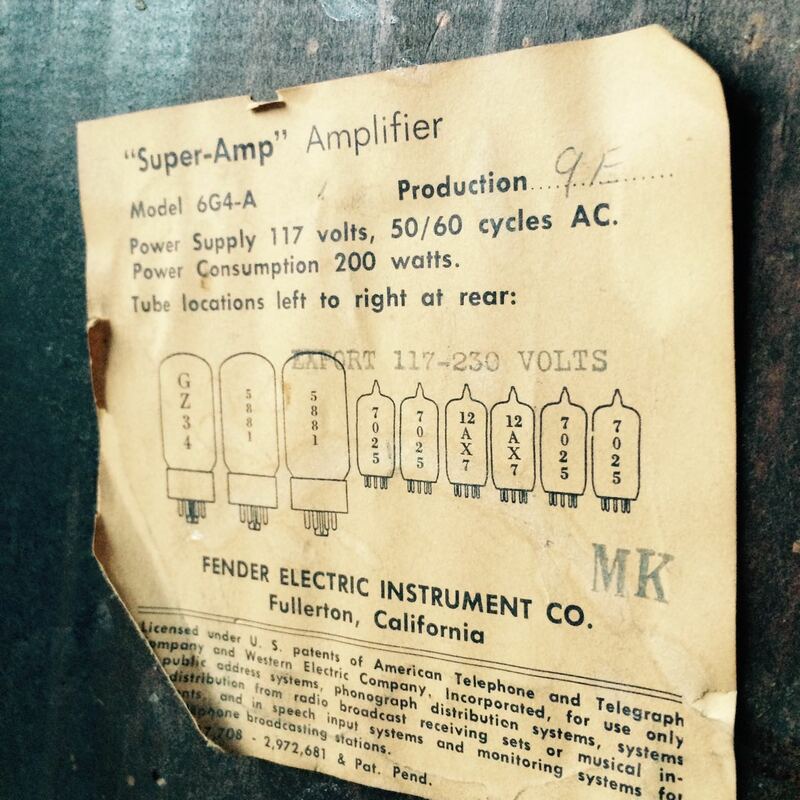 Somewhat of a rare beast, an early export model (as noted on the valve chart), but also noteworthy is the lack of GZ34 and the factory fitted solid state rectifier board. 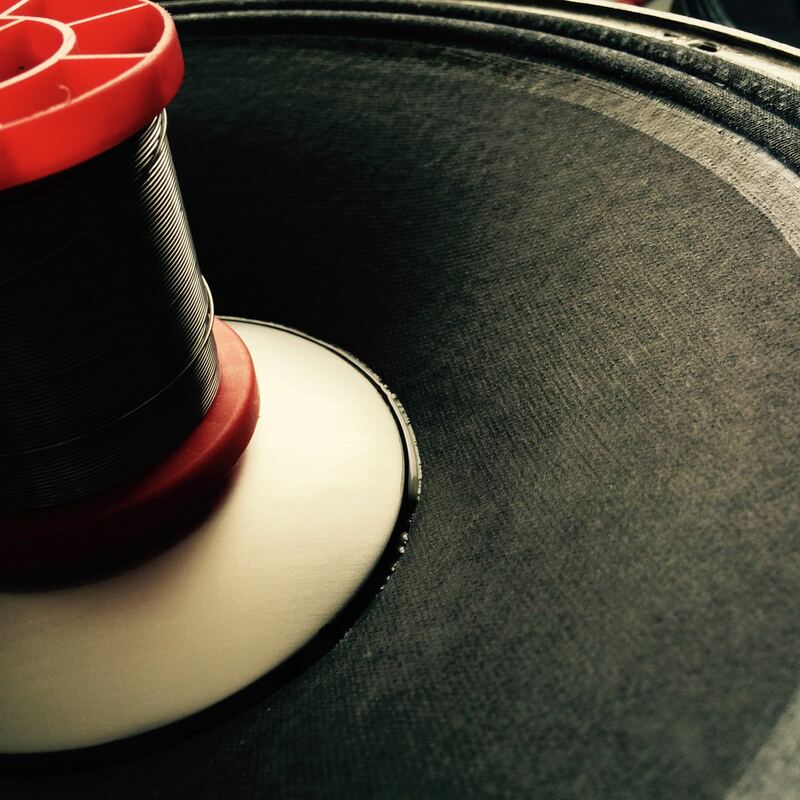 I tackled the tolex / recovering first. 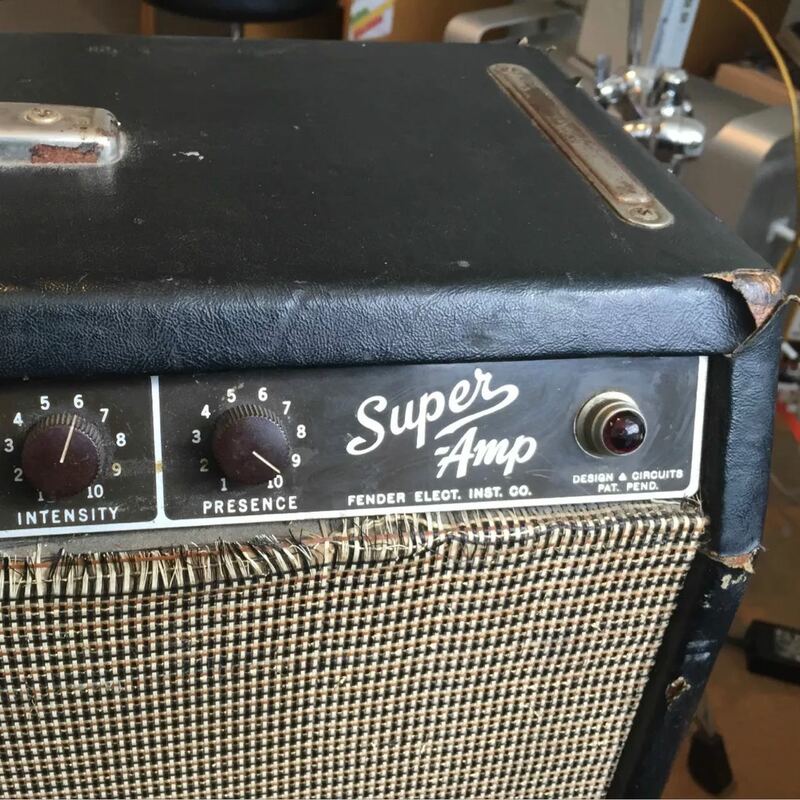 The amp was in need of a good service, it still had the original filter caps (one completely detached from the other on B+ line), original cathode bypass caps, one blown Oxford 10K5 speaker and the other cone was about to part company with the frame.........hummy and buzzy. 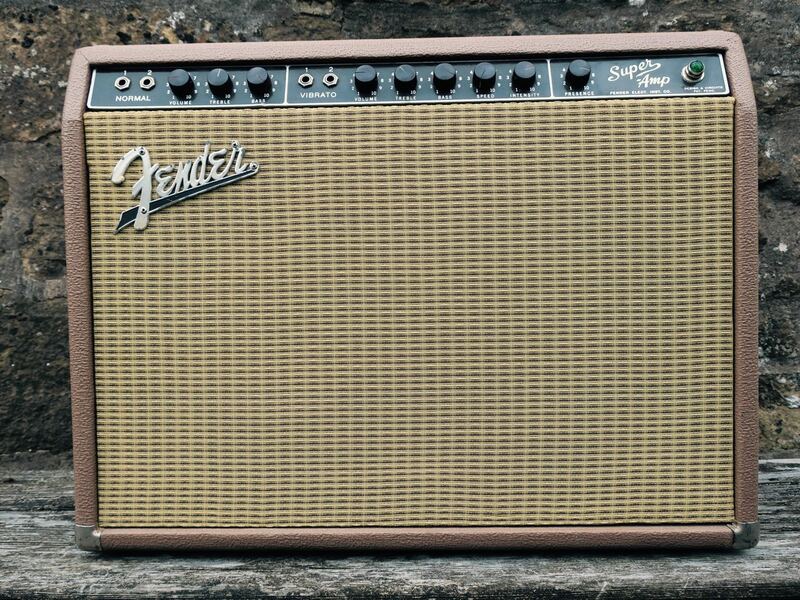 If you haven't tried a Brownface Fender you really don't know what you're missing, perfectly bridging the gap between Tweed and Blackface, whilst, in my opinion being better then both, beautifully controllable overdrive, loads of sparkly cleans and possibly the finest amp tremolo ever produced. I am really pleased to have able to help the amazing kids from Pesky! with their BBC TV debut. 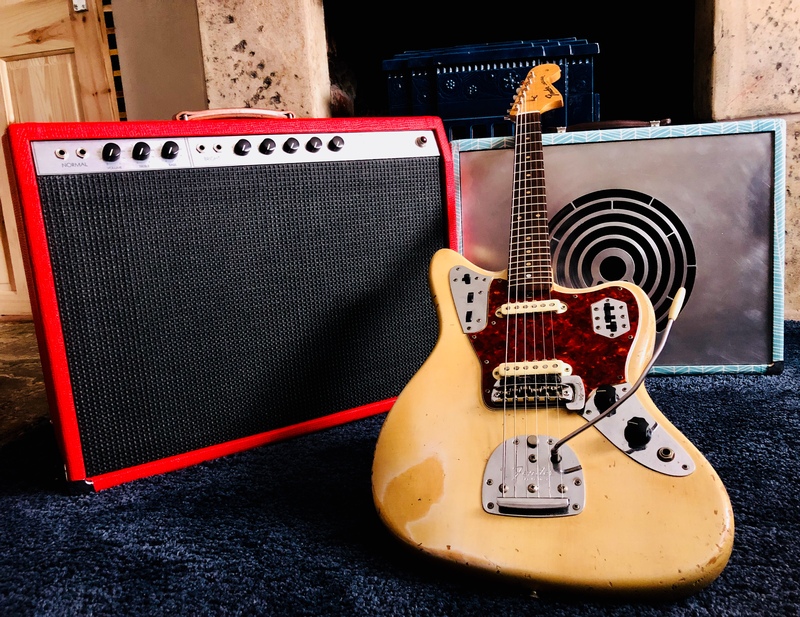 Loaned them a Motion Custom 4G8B1, 1957 Fender Pro and a 1959 Jazzmaster for their live performance of their new EP on Fierce Panda.